A virtual private network (VPN) is a technology that creates a network-encrypted tunnel into your firewall, maintaining a level of security that is often important for businesses. This basically simulates an internal network connection through an encrypted channel to allow outside access to the server. It seems like something that would be there normally to help with the Internet of Things, and that should be a no-brainer. However, as with most services, there are also some negative aspects to VPNs. With people working from home, Wi-Fi spoofing and MAC address spoofing, a business needs to control and secure its data and the entirety of the company. When home users subscribe to services like Kodi and use these, they definitely need a VPN to protect their privacy. With a global network in place and more mainstream virtual services spread across insecure public networks, the VPN connections are becoming more and more important for security and privacy. How often are you working from home or your cell phone, accessing important documents and information at your local restaurant on the public Wi-Fi that can be sniffed for data? If it is often, or honestly at all, the odds are your information has been compromised. VPNs become a good way to prevent this and often can prevent catastrophic issues with data-breaches. A VPN works like a firewall that protects your information while online and is considered a point-to-point private network that will encrypt the data between you and your connection. As VPNs are becoming more popular, we see increasing use in businesses to shield themselves from cyber-criminals and malicious code accessing their data. Still not sure what a VPN is? According to Wikipedia, a VPN is a virtual private network that extends a private network across a public network and enables users to send and receive data across shared or public networks as if their computing devices were directly connected to the private network. Applications running across the VPN may therefore benefit from the functionality, security, and management of the private network. VPNs may allow employees to securely access a corporate intranet while located outside the office. 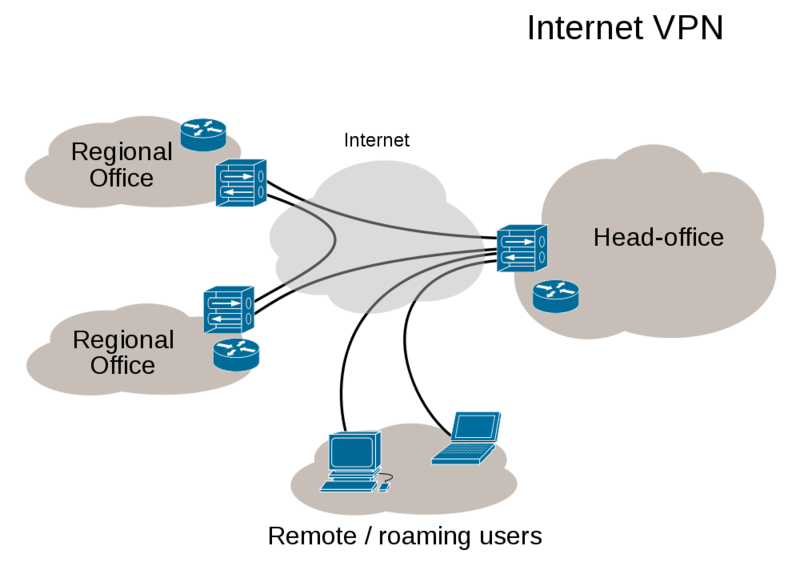 They are used to securely connect geographically separated offices of an organization, creating one, cohesive network. Individual internet users may secure their transactions with a VPN, to circumvent geo-restrictions and censorship, or to connect to proxy servers for the purpose of protecting personal identity and location. However, some internet sites block access to known VPN technology to prevent the circumvention of their geo-restrictions. Traditional VPNs are characterized by a point-to-point topology, and they do not tend to support or connect broadcast domains, so services such as Microsoft Windows NetBIOS may not be fully supported or work as they would on a local area network (LAN). Designers have developed VPN variants, such as Virtual Private LAN Service (VPLS) and Layer 2 Tunneling Protocols (L2TP), to overcome this limitation. Wondering why use a VPN and why is it so cool? 1.) VPNs decrease the risk of cyber attacks and security breaches. With the number of security breaches growing on the internet, people are switching to the network encrypted tunnels to remotely get to work. If they didn’t, they might end up on The 2017 TOP Security Breach list for the next year. According to Microsoft, the potential cost of cyber-crime to the global community is a mind-boggling $500 billion, and a data breach will cost the average company about $3.8 million. 2.) A VPN will make your client feel a little more relaxed and safe. Use the tools and the education for the client can show them how to safely transmit sensitive data from point A to point B without losing it. People feel better when people and companies take extra steps to keep their data secure. According to TheBestVPN, 43 percent of cyber-attacks are aimed at small businesses. 3.) VPNs also create a great work environment where your data is backed up. This encourages productivity. If the employee is working remotely and is accessing the file through a VPN to the company server, then they are not located on the device in use. If the employee’s system is damaged at home or in travel, the data is not lost. Peace of mind is a nice thing to have. 4.) You can travel the world and still make sure your data is safe at home. A VPN tunnel can be used from around the world. While some countries restrict access to certain websites, you can VPN into a network from home that will allow you to go where ever you want on the web. 5.) VPNs are cheap. A VPN service costs you around $10 a month. While the company at work has set up routers and Windows servers that have the functions built in. And there are open source versions of VPN software built into firewalls, like PFSense, and it uses OpenVPN. So VPN is a cost-effective security solution to lower that risk of data breach. 6.) VPNs aren’t just for your desktop and laptop computer. Android is the second most hacked OS next to Windows. If you are working on your phone or tablet, you could use a VPN there too. Overall, VPNs are a secure and cost-effective way to protect the data you transmit, and to give you the peace of mind in knowing that the data is secure and encrypted, further ensuring that prying eyes aren’t getting a look at anything sensitive. Does a VPN sound like the right solution for your business? At Armor, we recommend it to almost everyone running a business that deals with any client information. Would you like to know more? Or would you like one of our certified technicians to assist you in setting up a VPN of your own? Call the Armor Techs today, or fill out the form below, and one of our technicians will reach out to you to start this process of securing your data today!